Whether you are an enthusiastic gardener, a cook who prefers fresh ingredients, or a concerned consumer, we are sure that you have thought about growing your own herbs at home at least once in your lifetime. But it’s easy to get discouraged by the unforgiving and seemingly eternal Canadian winter. So today, we are giving you some practical tips on how to grow herbs indoors, so you can harvest and enjoy your favourite ingredients from the comfort of your own home. Why choose hydroponics over traditional gardening? These days, there are two main methods of gardening: traditional soil gardening and hydroponics. Traditional soil gardening, as its name suggests, involves growing plants in soil. Hydroponics involves no soil in the growing process. 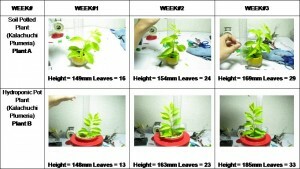 Plants are grown within a container filled with some type of grow medium (e.g. clay pebbles, coconut fibre, rock-wool) and are constantly watered with nutrient solution (nutrients dissolved in water). While soil gardening is widely used in industrial agriculture, when it comes to home gardening, hydroponics wins over the traditional method for many reasons. 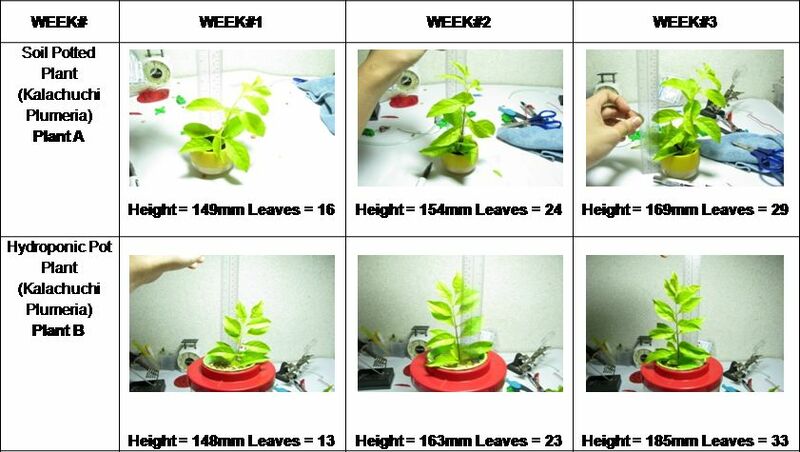 Here we’ll go over a few, using the 3Dponics vertical hydroponics system as an example. Since planters are arranged vertically (one above another) the space required for a hydroponics system is only a fraction of the space needed for the traditional method of gardening. This makes hydroponics a great solution when space is an issue, like in small city apartments. Once the nutrient solution reaches the reservoir, it will be pumped back to the top container. Since the water needs to be changed only once a month, hydroponics systems are considered as a green and eco-friendly gardening method. No soil means no soil-borne diseases, pests and weeds. It also means no need for herbicides and pesticides. Hydroponics allows you to grow more plants and grow them more quickly. 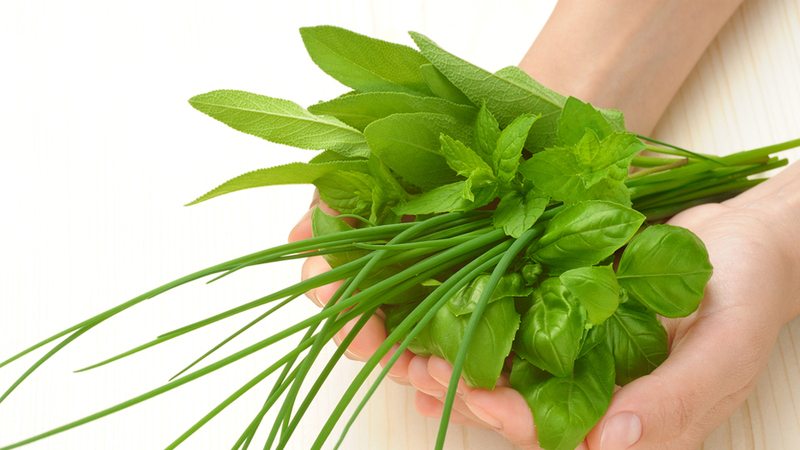 Hydroponics allows you to grow a large variety of herbs fairly easily. Examples of herbs that work best include basil, parsley, cilantro, mint, oregano, thyme, rosemary, lavender, catnip, chamomile, anise, dill, and fennel. If you want to optimize the speed and quality of your yields, it is important to understand how factors like grain quality, environment and system management affect your herbs. For the rest of this blog, we’ll focus on system management (water quality, pH, soaking time, nutrient supply, depth and density of grain in troughs) simply because it plays one of the most important roles in the success of your garden. Specifically, we will be talking about the six major nutrients and how each can affect your plant. Nitrogen is critical to fast, lush plant development. Phosphorus is essential to energy metabolism of plants, hence photosynthesis and respiration. Potassium is largely important in maintaining ion balance with the cells. It is also required for protein synthesis. Magnesium is an essential element that forms the central atom in the chlorophyll molecule. It also helps regulate cellular pH. Calcium is important in the formation of the plant’s cell walls, enzyme and chromosome structure. Sulfur is the building block for a number of proteins, hormones and vitamins. We hope that this blog has given you a better understanding of hydroponics and made it a little less intimidating. Feel free to check out our drip recovery hydroponics system, perfect for growing indoor herbs, or leave us a comment if you have any question related to our design!